The Director-General, National Automotive Council, Engr. Aminu Jalal, has disclosed that the council had disbursed N11.5 billion to 32 companies, to boost production of automobile accessories in Nigeria. These accessories include brake pads, oil filters, and bumpers among others. The director-general made the disclosure at a news briefing in Lagos while reiterating government's plans to develop and sustain the industry. The President of the Nigerian Association of Master Mariners, Capt. Saib Olopoenia, says the absence of a transport policy was the bane of the nation’s shipping industry. In an interview in Lagos, Olopoenia said that Nigeria must establish a transport policy to attain a focused direction in shipping development. The Nigerian Ports Authority (NPA) and the Nigeria Meteorological Agency (NEMA) have set up a committee to advance effective strategy for maintenance of the coastal areas within the NPA’s jurisdiction. This was disclosed in a statement by the NPA in Lagos. 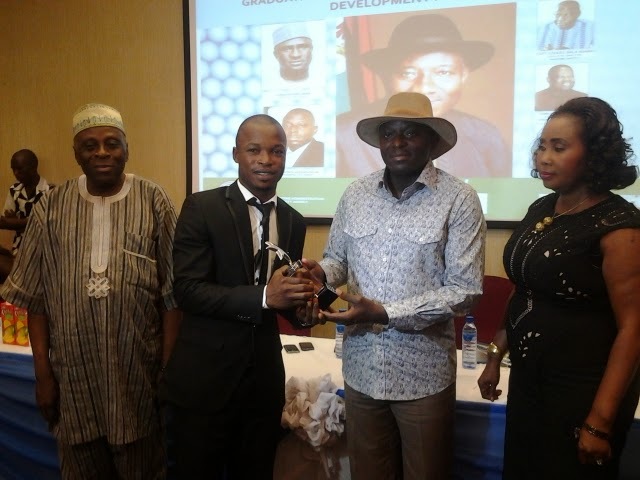 The Nigerian Maritime Administration and Safety Agency (NIMASA) has promised possible job placements for the first batch of graduating cadets from the Nigerian Seafarers Development Programme(NSDP). Mr Ziakede Akpobolokemi, the Director-General of NIMASA, disclosed this while speaking at the dinner reception held for the students on Saturday at the FourPoints by Sheraton Hotel in Lagos. Fast-eroding cultures, especially among many African societies have continued to pose great concerns among people who understand the degree of the consequence of losing one’s cultural elements that serve as mark of original identity. Looking inward to finding a solution to this challenge is the OYASAF Lecture Series organised by Prince Yemisi Shyllon to create a re-awakening, tapping into the peoples’ consciousness to keep alive the importance of preserving culture and heritage. Mr Uchu Block, the National General Secretary, National Council of Managing directors of Licensed Customs Agents on Thursday declared that the poor handling of the Pre-Arrival Assessment Report (PAAR) was hindering trade. PAAR is a cargo clearance platform established by the Nigeria Customs Service (NCS) in December 2013, to enhance effective clearance procedure within the shortest time possible. 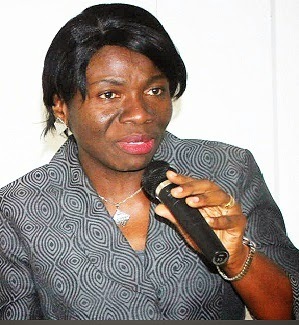 Speaking in an interview in Lagos, Block said that PAAR was being handled unprofessionally; thereby deterring a smooth flow of trade, which it otherwise ought to promote. A maritime consultant, Dr Alex Nwangwu, has urged the Federal Government and stakeholders in the maritime industry to adopt a public private partnership model to address challenges of indigenous shipping development. Nwangwu said that it was inadvisable for government to solely own a shipping line again, bearing the past experience of mismanagement. The Nigeria Customs Service (NCS) Western Marine Command has disclosed that it intercepted 200 bags of rice with Duty Paid Value (DPV) of N2, 233, 980. Controller Johnson Gabriel said in Lagos that the command was prepared to deal with the smuggling activities along the creek areas under its jurisdiction. Capt. 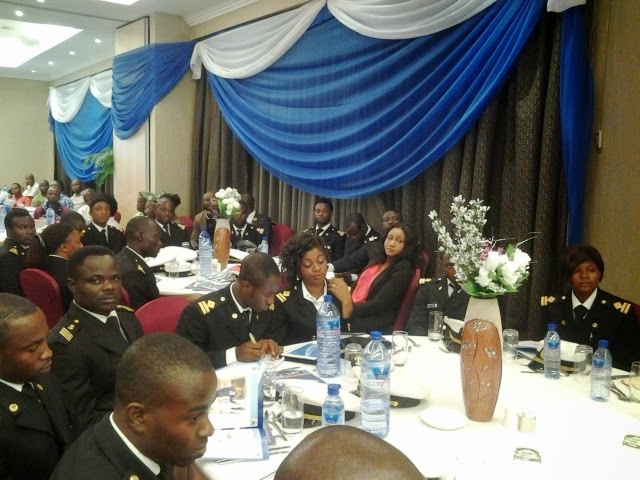 Saib Olopoenia, President of the Nigerian Association of Master Mariners (NAMM) has advised that maritime training institutes must offer international standard training for cadets to be relevant to the industry. In an interview in Lagos, Olopoenia said that the establishment of more maritime schools was not a problem if only the cadets would be trained to meet international standard. The Elekwa Memorial Foundation of New York is hosting a bash to celebrate Nigeria's 54th year independence anniversary during which the Foundation will honor Nigerian-American Deputy-Mayor of Newark, Hon. Ugo Nwaokoro and Dr. Chika Onyeani, Publisher/Editor-in-Chief of the African Sun Times, Africa's No.1 newspaper in America, for their selfless devotion to empowering the Nigerian Diaspora in the United States of America. The Independence Anniversary Bash will take place on Friday, October 3, 2014 at 44-01 Broadway, Astoria, New York, from 9 pm to 2 am. The Elekwa Memorial Foundation has held a series of educational forums on the education of the African child. Its Founder and Chairman, Dr. Sam Chekwas, is well regarded Greek language expert, having translated many works from English to Greek, and has been honored many times in Greece for enhancing Greek culture. Labels: city of Newark , Elekwa Foundation , News , society. The Nigerian Ports Authority (NPA) and the Association of Maritime Truck Owners (AMATO) on Monday said they would hold talks by Sept. 29, to resolve issues that led to truck drivers’ protest. It could be recalled that some truck drivers protested over a misunderstanding with security operatives outside the port gate in Apapa, Lagos last week Thursday. Both parties identified the absence of a call-up system as a major challenge which made some drivers induce security operatives to collect money to allow them into the port. In an interview, the Apapa Port Manager, Mr Anas Nasir, said that the truck drivers did complain of extortion by security operatives outside the port, as well as delays inside the terminals. He said bearing all the complaints, it was certain that a call-up system would serve an urgent measure to checking the problem and get things done more efficiently. 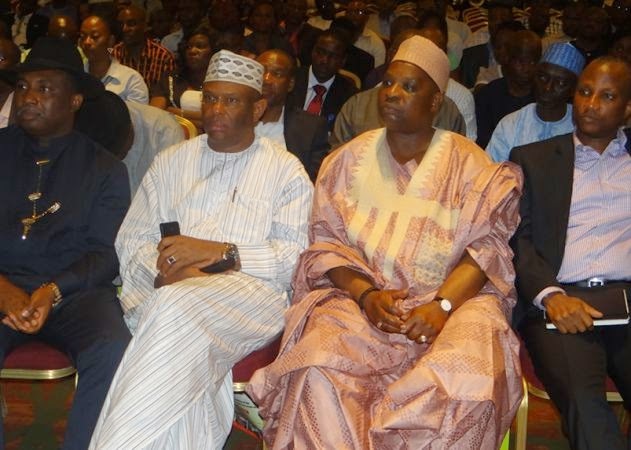 L-R: Executive Director, Marine and Operations, Nigerian Ports Authority (NPA), Engr. David Omonibeke; Board Member, Baba Agundi; Managing Director, Mallam Habib Abdullahi and Executive Director Finance and Administration, Olumide Oduntan at the launch of the electronic ship entry notice by the NPA in Lagos. For improved port efficiency; elimination of delays, improved turn-around time of vessels, the Nigerian Ports Authority (NPA) on Wednesday launched the Electronic Ship Entry Notice (e-SEN) platform as part of activities marking two years stewardship of the present management. Giving account of management’s performance in the last two years, Managing Director of the NPA, Malam Habib Abdullahi, said the e-SEN was part of the drive to use technology in improving services at the Nigerian ports as well as improve revenue generation by the Authority. 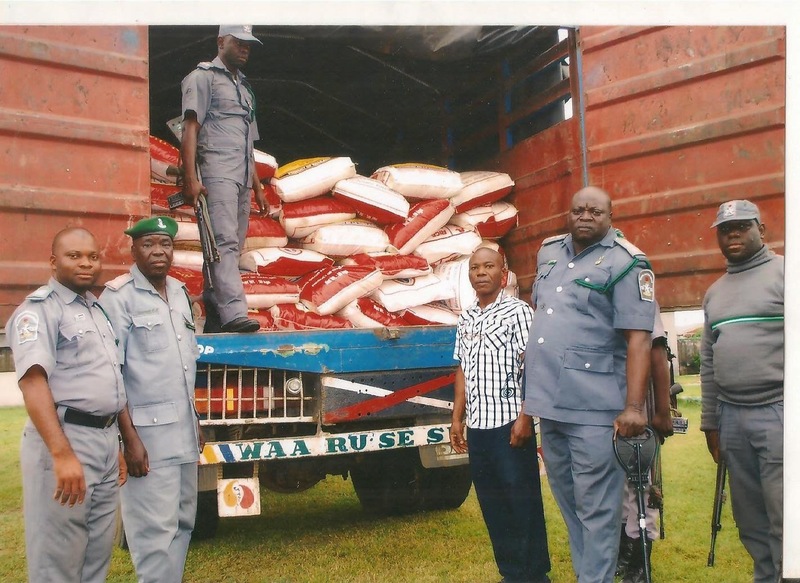 The Nigeria Customs Service, Western Marine Command said it intercepted 170 bags of smuggled rice with a Duty Paid Value (DPV) of N1,004,275. Acting Controller of the Command, Chief Superintendent of Customs, Johnson Gabriel, said that the value of the seized rice is N590,750 while the duty payable is N413, 525. He disclosed that operatives of the Command recorded the success at the weekend around the Badagry area of Lagos State. 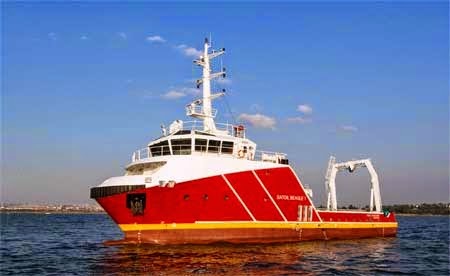 Arena Offshore has delivered the 34-metre multi-purpose utility vessel ‘Batoil Beagle 1’ to Nigerian marine services provider Batoil Services. Designed by Alfa Marine Design, a naval architect in which Arena Offshore owns a 35 per cent stake, the ‘Batoil Beagle 1’ measures 34 metres in length overall, with a breadth of 9.8 metres and a molded depth of 3.85 metres. Featuring a futuristic vessel profile dominated by sharp angles and an eye-catching red colour scheme for the hull, general features of the ‘Batoil Beagle 1’ include both forward and aft bridge control (with maneuvering stations) in the wheelhouse, 10m3 cold store capacity, a wood-lined deck, CCTV, a remote-controlled searchlight system and weatherproof electrical supply to the deck. According to the Arena Offshore, the deck’s electrical supply is also capable of powering TEU containers that require refrigeration. For the vessel’s power train, a pair of 970kW engines turns fixed-pitch propellers to a design speed of 13 knots, a cruising speed of 11 knots and a range of 3,700 nautical miles. With the ‘Batoil Beagle 1’ capable of fire fighting operations, the main engines also power a pair of remote-operated 1,400m3/h fire fighting monitors. The ‘Batoil Beagle 1’ can perform a wide range of offshore supply and construction tasks befitting her operator’s wide portfolio of specialised marine engineering and support services. Her 125m2 of free deck space provides a deck load capacity of 100 tonnes, whilst installed container lashings can secure up to four TEU containers for cargo transfer. 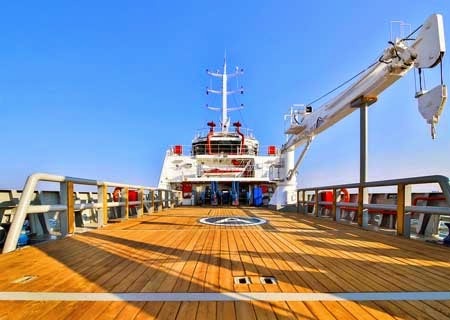 A 20-tonne detachable A-frame, meanwhile, facilitates construction work, and the vessel features accommodation facilities for up to 20 crew and personnel. 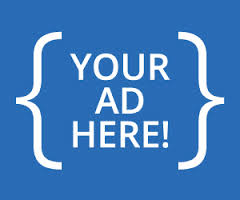 Labels: Maritime Industry , News , Nigerian maritime services , vessels. Barely one month after a speed boat capsized in Bayeku area of Ikorodu leaving many dead, another speed boat belonging to Oke’ra-Nla Boat Association in Ajah area of Lagos, at the weekend capsized, leaving four persons dead while one person is still missing as at press time, the Vanguard Newspaper reports. The boat with 22 passengers, was heading for Bayeku from Oke-Ira. There were conflicting accounts of cause of the accident. While some attributed it to the boat colliding with a log of wood, another account said it was caused by boisterous water waves. An eye witness, who pleaded anonymity, said the boat was hit from behind by another boat which was on top speed. Labels: Lagos boat mishap , News , water transportation. Are you presently at a loss on how to resolve a long-standing dispute in marriage, business or property? The experts tell you why Alternative Dispute Resolution (ADR) is the answer.